UM Sydney is the media agency behind the 60-second spot. There is currently a review underway for Lego's media account globally. Creative agency Mammal worked on Lego's 2016 Christmas ad. 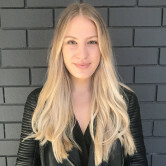 AdNews understands Lego works on a project-by-project basis with agencies and brand says it will continue to work with Mammal. CHE Proximity has revealed its first Christmas ad for Lego after winning the project earlier this year. The charming spot sees Santa flung far away from his home but rescued by an unexpected friend and a little creativity. The message of the ad is “Build Together” and marks a play for diversity for the iconic brand, featuring Ninjago character Sensei Wu. “It’s great to be working on such an iconic and playful brand. It was a pleasure to work with the team at Lego Australia and we’re hoping this and the wider campaign cements Lego’s spot on this year’s Christmas wish list”, CHE Proximity ECD Ant White says. Director of the film, Kyra Bartley, says the film took over 100 hours of animation, shot over nine days using 12,000 Lego pieces and featuring 13 different characters - including one pooping reindeer. 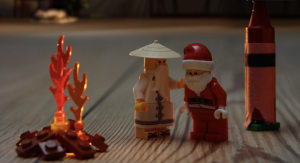 “Bringing this Lego Christmas story to life in stop motion was such a dream brief. I’m sure everyone has nostalgic memories of building magical Lego worlds as a kid, so doing that inner child’s sense of imagination justice was really a driving force for me," she says.